MagicPlot can multiply the values on axis, add prefix and suffix. As an example you can use multiplier for removing redundant ×1012 notation from all labels and placing it manually. Suffix can be used to add units to all axis labels. 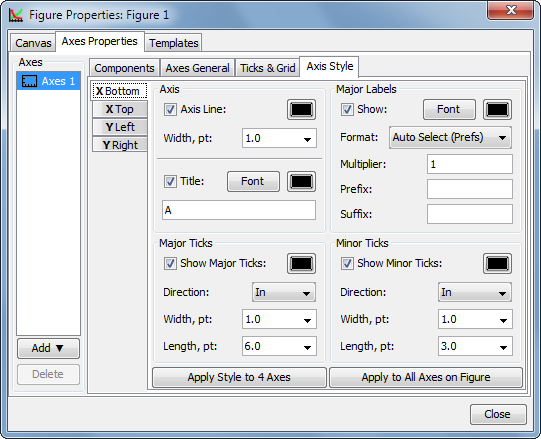 This properties can be set in Axes Properties → Axis Style tab of Figure Properties dialog. Each of four axes (left, right, top, bottom) has own properties.